You work hard all year long and now vacation time has finally come. You are planning your trip and though your actual goal is just to take a break wherever it is, it would be nice if you went to a tourist destination that has a lot to offer. As you might know, many airplane companies offer cheap tickets to the popular tourist destinations (if you plan your trip on time) and on the other hand, you can book an excellent apartment for a fair price using the service of Airbnb or Booking. Anyways, in the past few years, the most popular countries for tourist visits have been the ones situated in Southern-Asia: Thailand, Sri Lanka, and Cambodia; as well as exotical getaways such as Bali and Maldives. Still, Europe has a lot to offer and apart from the constant popularity of Greece, Spain, France, and Italy, Turkey is becoming one of the major Eurasian touristic destinations. As some of you might know, not long ago the Ottoman Empire was one of the largest in the world and took much of the Middle East, and Balkans as well. After the First World Ward, the Ottoman Empire dismissed and Kemal Ataturk made Turkey a presidential republic. Kemal being the first president introduced many modern (Western) reforms to Turkish society, boosting the culture and economic growth in the process. Almost hundred years after Turkey is facing a tough political situation once again. The current president Tajip Erdogan has been in power for 15 years already (11 as a prime minister; 4 as a president) and is seen as a man who reintroduced dictatorship to Turkey. 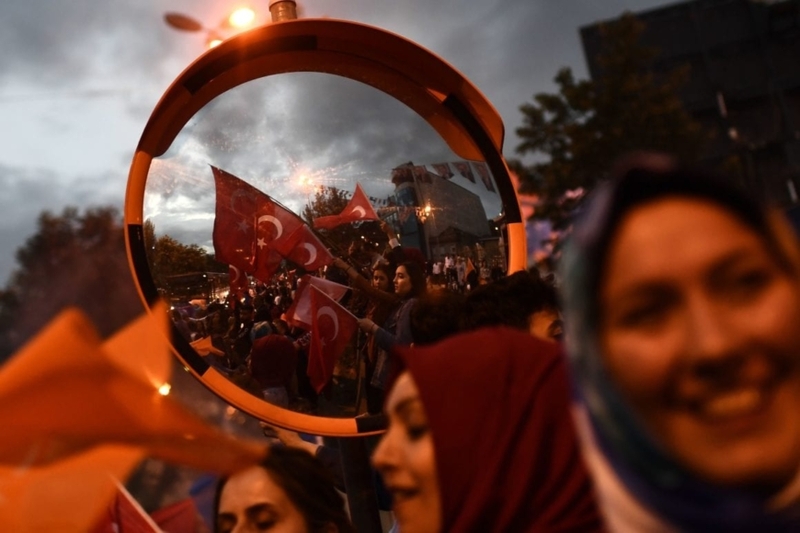 Erdogan is accused of breaking the basic principles of democracy such as freedom of the press, freedom of speech, and even prohibiting the opposing political parties. Along with that, the Kurdish independents who take almost 1/5 of the Turkish population aren’t satisfied with their current state and are planning to fight for the right to their own country. In the past few years, numerous Kurdish attacks and a failed coup has occurred, and that has caused distress all over the globe. 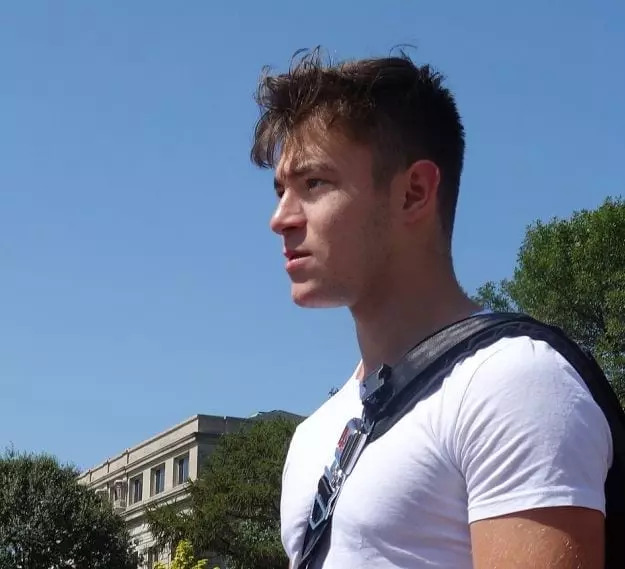 And although the political status is how it is, the FCO still claims that Turkey is safe to visit and that people shouldn’t miss out on the attractiveness and diversity that this country has to offer. As claimed, most of the touristic sites are out of the danger zone’’. 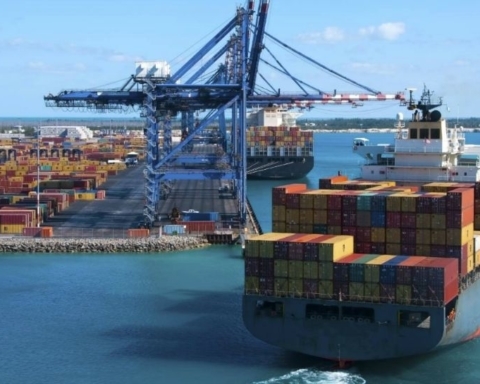 Turkey is a country that has a huge potential in almost any way – with a great geopolitical position it could have much more influence on the global matter if of course, the political status wasn’t how it is. With beautiful Medditerean coast sites that have been attracting Western tourists for years and numerous historical sites such as the ones in Cappadocia, Turkey is sure one of the most worth it countries to visit. Of course, visiting the capital Ankara and taking tours in Istanbul is one of the best experiences you can have. And it isn’t expensive either. 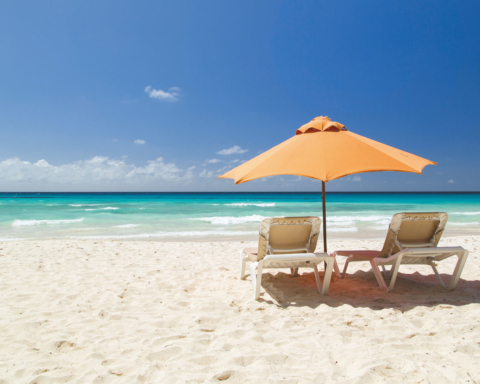 You will be able to find a 14-day all inclusive resort package for around $400 if you start looking on time. This is what made Turkey so popular as a touristic destination – good prices, service, and a diverse offer! The Turkish tourism was in crisis a few years ago but now once again it is stepping back on its feet. And though the political situation isn’t perfect that doesn’t prevent people from coming. 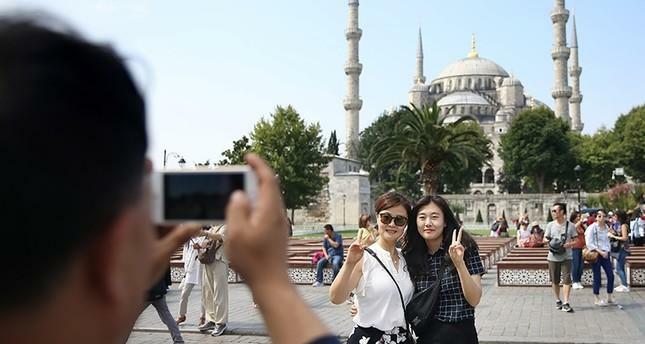 The three major stakeholders of Turkish tourism are Chinese, Muslims and Russian. With the Chinese-Turkish relations improving in the past few years we have seen a huge number of tourists from the world’s biggest country coming to visit heritage sites such as Pamukkale, Denizli and the beautiful area of Cappadocia. In the previous 2018 year close to one million Chinese tourists came and it is safe to say that there spending power was over a billion dollars. 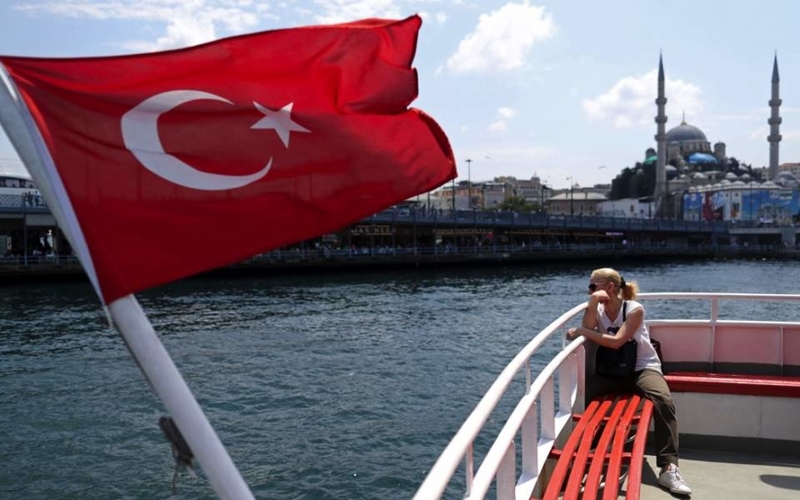 Along with that, Turkey has been doing its best to promote the so-called Halal Tourism – as there are more than 120 million tourists of Muslim heritage, Turkey is doing its best to increase the popularity of Islam sites and cultures. This includes hotels more specialized for Muslim needs, great restaurants offering Halal food, and special tours that show the importance of Turkish Muslim heritage. Last but not least are the Russians and Turkey is keeping in quite a good trend serving the Slav tourists – Russians have been mostly focused on the Mediterranean coast and Antalya and the Turks have done quite a good job providing the perfect service for their needs – including all-inclusive resorts and great all-around offers. In 2013 there was legislation that finally included a possibility of obtaining a travel visa through filling an online application. It allows you to get a travel visa for 90 or 30 days in a matter of few minutes just by filling out the important information and sending the ID or Passport evidence. 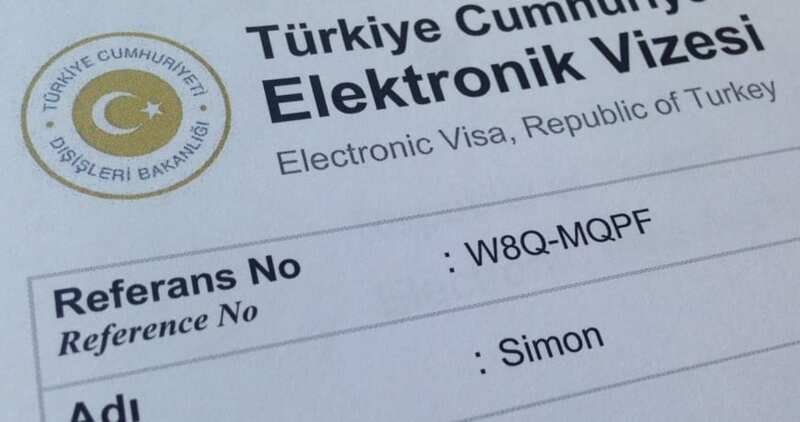 Nowadays, it is much easier to travel with a visa and there are even some countries that need the only ID to enter the country – Germany, Belgium, France, Georgia, The Netherlands, Spain, Switzerland, Italy, Cyprus, Greece, Malta, Luxembourg, Liechtenstein, Portugal, and Ukraine have all valid international agreements with Turkey on this matter. If you are a USA citizen you will need to apply for the e-Visa but it shouldn’t be hard to acquire it. 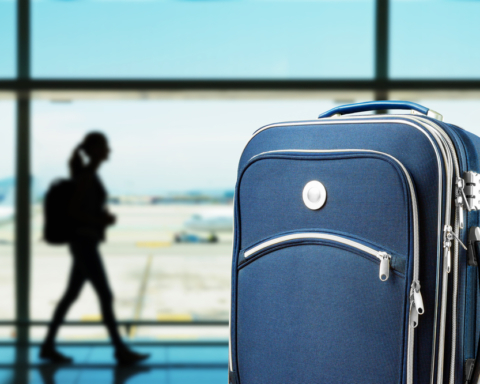 Now, when it comes to how safe is to travel and how to move around the country there are a few Foreign and Commonwealth Office tips. The FCO gives a green light for all the West Coast resorts as well as for traveling to Central Turkey sites like Cappadocia. These are virtually free of any threat as any demonstrations or attack have mostly taken place in Ankara or Istanbul, as well as at the Eastern part of the country. And though cities like Ankara or Istanbul are at a mild risk these are still claimed to be safe by FCO and if you follow your tourist group and guides you should be fine. The only area that you certainly shouldn’t be visiting according to FCO is the one close to the border with Syria (10-20 km within) including Diyarbakir, Hatay, Gaziantep, Sirnak, Tunceli and Hakkari provinces. First and foremost, you can’t go to Turkey without paying a tribute and a visit to the beautiful city of Istanbul. Once a capital, it is now one of the largest cities in the whole Europe and with its excellent position it serves as a connection between the two continents over a narrow strait (Europe and Asia). 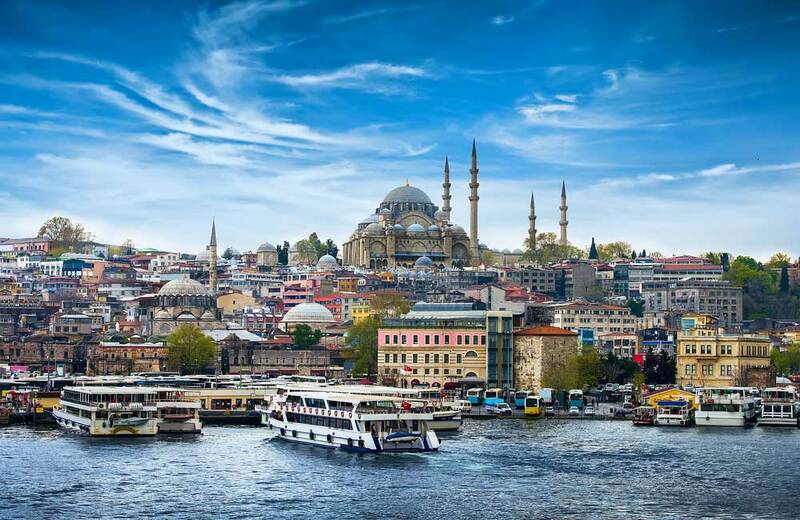 Istanbul offers much more than you could think of – excellent food, bazaar, nightlife, cheap clothes, diverse architecture and of course an all around exciting atmosphere. Going for tours in Istanbul and visiting Hagia Sophia, and the Topkapi Palace is a must! On the other hand, Cappadocia is an excellent tourist attraction for all the people wanting to take a quiet resort in a natural environment. Cappadocia is covered with cliffs, caves and erosion formations and it looks like a thing that came out of a fairytale. Along with that, it is an important historical site as well. Last but not least is the beautiful resort of Marmaris. It is situated between the Aegean and Medditerean seas and is one of the best seaside places you can go to. 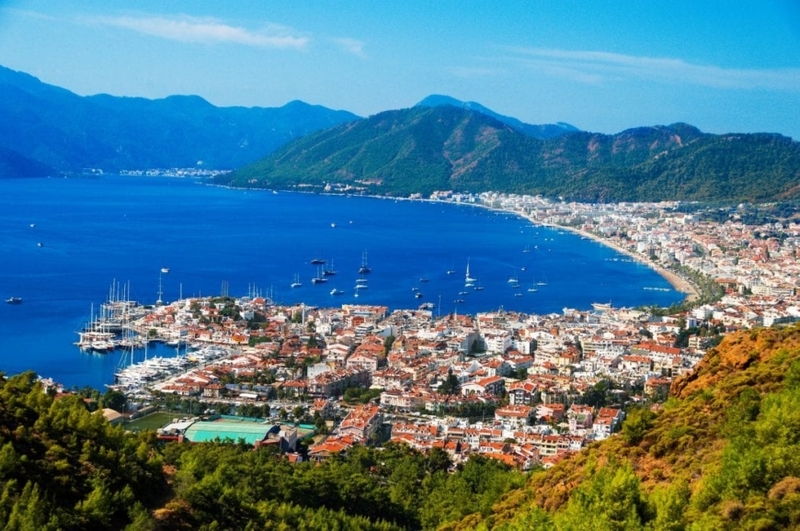 Marmaris offers a diverse nightlife, tourist sites, good food, and all-around adventurous experience. And you will fall in love with the architecture of the surrounding village houses! Although Turkey is not in the best shape considering the political status and the ongoing regime it shouldn’t affect its touristic potential. 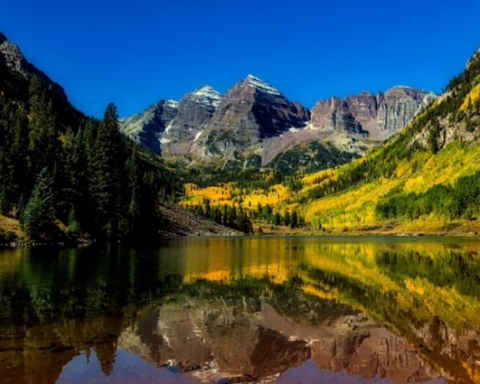 The above-mentioned destinations are just some of the beautiful ones that you should visit. Along with that, we would name Bodrum, Antalya, Ankara, and Ephesus as a few more that should be on your bucket list. So what are you waiting for? 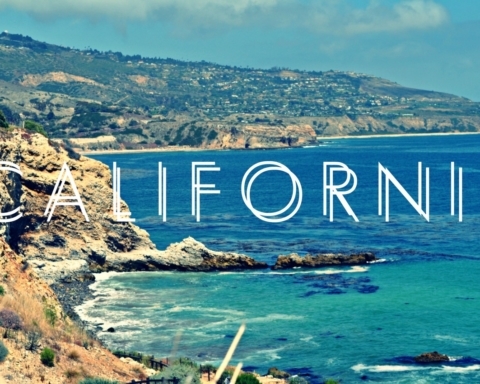 Go ahead and book your flight!